The Red Sox have the most wins in baseball under their new manager, who is responding well to potential controversies. It’s been mostly smooth sailing for the Boston Red Sox under first-year manager Alex Cora. They jumped to one of the greatest starts in team history by winning 17 of their first 19 games before settling into a stretch of .500 baseball. Boston began the week tied with the equally impressive New York Yankees, thanks in large part to that incredible start. The Sox have won more games than any other team in baseball, even though they are 15-13 in the last 28 games. Cora has had to deal with his first couple of internal crises in the past week. First, relief pitcher Carson Smith suffered a potentially significant shoulder injury when he threw his glove in a fit of rage last Monday night and then suggested the injury came from overuse. Overuse? Smith has made 18 appearances this season and has never been used three straight days. The Sox had clearly been careful with a pitcher who returned from Tommy John surgery last year. Smith’s suggestion that he was being used too much wasn’t a good look for the pitcher. It caught Cora off guard, and left the manager answering questions about his pitcher’s comments. In other words, Smith should have spoken to Cora about his usage. That dialogue should not have come through the media. Once the media was involved, Cora was direct and clear with his response. He thought Smith was wrong. And he didn’t mind saying so. This was an important step in the evolution of Cora as a big-league manager. He’s never managed before. These things have a tendency to pop up and become public, especially in an environment like Boston where dozens of media members cover every home game. There are a lot of eyes, ears and microphones watching over everything. 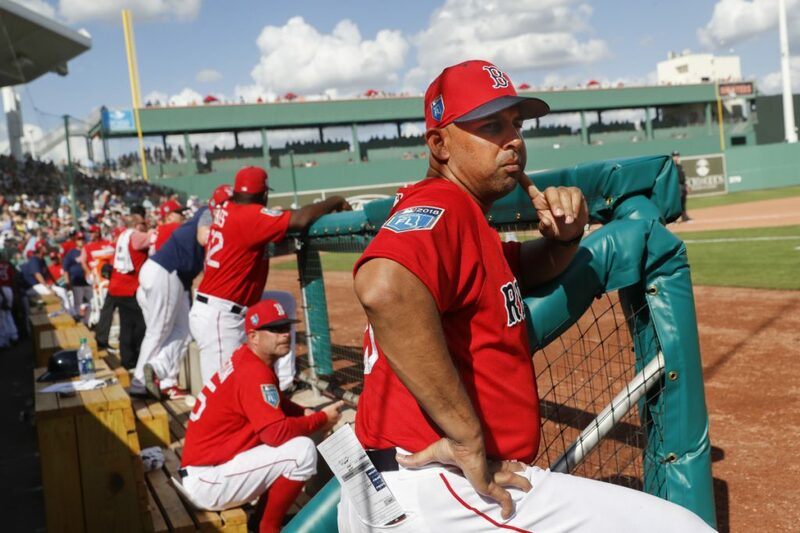 As a manager, Cora has made it clear he wants to be on the side of his players. That’s the way the game is managed today. The days of an authoritarian corner office are long gone. Yet there will be times when Cora has to stand up and make his thoughts clear. He needs to call a player out when the situation warrants. The Smith comments were one such situation. There was another situation that became public last week when Blake Swihart’s agent told NBC Sports Boston his client wanted a trade. The declaration isn’t earth shattering. Swihart has hardly played this season, appearing in a team-low 17 games. Cora handled this very differently. When asked about Swihart’s comments, the manager said he had spoken with the player and there was no problem. Swihart wants to play, and Cora said that’s expected. In this case Cora didn’t call out his player publicly. He didn’t have to. He simply reiterated that Swihart has to continue working hard. It’s an important message for any player. Two situations. Two different responses. And further evidence that Cora is growing nicely into his role.